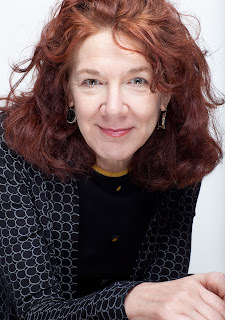 Mary Ruefle is the author of Madness, Rack and Honey: Collected Lectures (Wave Books, 2012) and Collected Poems (Wave Books, 2010). She has published ten books of poetry, a book of prose (The Most of It, Wave Books, 2008), and a comic book, Go Home and Go to Bed (Pilot Books/Orange Table Comics 2007); she is also an erasure artist, whose treatments of nineteenth- century texts have been exhibited in museums and galleries, and published in A Little White Shadow (Wave Books, 2006). Ruefle is the recipient of numerous honors, including the William Carlos Williams award, an Award in Literature from the American Academy of Arts and Letters, a Guggenheim fellowship, a National Endowment for the Arts fellowship, and a Whiting Award. She lives in Bennington, Vermont, and teaches in the MFA program at Vermont College. Q: What drives a poet to hear in the silence what speaks behind the silence? In other words, in a recent interview with Michael Silverblatt on KCRW, you talked about listening for the voice of the inanimate in the world. Why would one want to do that sort of thing? Do poets (or all artists for that matter) hear (or see) in rocks or trees and bins of abandoned teddy bears at Good Will what most of the world remains deaf to? A: If you think of voice as existence rather than something produced by a larynx–existence as a kind of noise unto itself–then everything that is has a voice, and we hear it if we pay attention, but attention is very often difficult in a world (ours) with a very loud bass. A poet who looks deeply at a thing and describes it so others can see it is listening to the voice of that thing–she doesn’t have to go so far as anthropomorphism; others, of course, will go that far. Anthropomorphism suffered a very bad reputation for a very long time, but it is making a come back. All things come into and go out of fashion; an artist must ignore such tides. Q: In your newly published and wonderful collection of lectures, Madness, Rack and Honey, you write about James Fenton’s theory that poetry is about raising one’s voice and you propose that poetry also is what happens when one lowers the voice, when someone wants to be heard “beneath the din.” Some shouters immediately came to mind– Lord Byron, Sharon Olds, Donald Hall, Robert Bly, Allen Ginsberg, Anne Sexton. And I thought of the whisperers, the tellers of secrets as you describe– John Keats, Jane Hirshfield, Jane Kenyon, Rilke, Denise Levertov. Poets in the beginning were the medicine men, priests, storytellers, orators… lyrical Sappho seems like the first recorded voice beneath the din. Would you talk about gender and decibel in poetry? Does a poet choose to primarily shout or whisper most of the time? Is it even a choice? A: There are shouters and whisperers spread among both genders and no, I don’t think one chooses. I think one has an innate and intuitive sense of what a poem wants, for a poet may shout in one poem and whisper in another. That said, I do think that women very often had to shout to be heard. I mean, for a very long time no one listened to them, so what could they do? Continue whispering among themselves? I suppose I am thinking of Plath and Sexton, but then there are poets like Bishop, who, it seems to me, neither shouts nor whispers, but speaks in a marvelously middle register, to great effect. To great, great effect. Q: What is your writing day or writing night like? Do you have a routine or sacred practice that you have developed over the years that has contributed to your success–or failure? A: No, I don’t have a routine that I can describe to you. Some days I don’t write at all. Other days I may write three poems. It’s very haphazard, I couldn’t explain it if I tried; there is no explanation for it. I do have a sacred ritual though: I work on erasures for two or three hours every morning. There are days and weeks when I can’t, owing to other responsibilities, and I am always miserable during these periods. Q: How might sitting down to write poetry frighten you? A: Sitting down to write a poem may frighten me the way we sometimes get nervous before taking a trip–what if something goes wrong? Sometimes you get to the border and realize you’ve forgotten your passport! Disasters do happen, and then, at other times, total strangers give you a lift and you don’t miss that plane after all. Anything can happen, and when anything can happen, we usually get a little nervous. Still, artists seem to like that state, the state where anything can happen; maybe that’s why so many of them are nervous types. Q: You quote from so many sources in your collection of lectures and essays–from John Clare and Jung to authors Venturi, Brown and Izenour‘s “Learning From Las Vegas.” Please name the most influential or important books a poet writing in English, in our time, should read. Why do you feel that the dead might be equipped to teach us more than the living? What information does a poet need? A: It would be presumptuous of me to tell anyone what to read. Everyone reading the same book at the same time is the beginning of the end. A reading life is a private and individual journey, books come to different people at different times, and usually they come at the right time, I’ve noticed that. Many times you wander in a bookstore looking for one book and find another–that other one is why you walked through the door, but you didn’t know it at first. You know it when you leave. As for information, a poet needs only the information that his senses provide, and even then he doesn’t need all of his senses, if some are missing that will only enhance the ones that are left. I am talking about using the ones you have. Q: Poetry is about the compression of language. So is texting, for example. It seems everything now is a compressed sound bite– look at election slogans, advertisements, the back and forth in a screenplay–Cloud Atlas, for example–moving plot to plot, constantly shifting with much more rapidity than David Mitchell’s balanced novel. Much new literature almost reads like treatments for a script, moved far away from the word storms of Saul Bellow and Dickens. How does the new literary anorexia influence the kind of poetry we want to write? A: I suppose you either want to jump on the bandwagon or stay as far away as possible! Style, like voice, is multifarious and should be. I love spare poems and I love word storms, as you call them. The last I looked, there was room for everyone, and this has been of the more positive influences of postmodernism–you can live in Duluth and eat sausages and read what you want and write what you want, or you can live on an island off the coast of Washington and eat seaweed to the same end. Why do people like being told what to do? That is the real question. A: At nine I was writing about things that interest a nine year old–spring, summer, fall and winter. And I had a poem about baseball, which was really about Mickey Mantle, who was a huge celebrity at that time. I didn’t really like baseball, or know much about it, but obviously I had not yet learned to turn the TV off. In this poem there were the lines: “Mickey Mantle is up to bat/watch him sweat beneath his hat.” That’s all I remember. What was it about my world that woke up the poet in me? I guess it was the fact that I felt like a freak, I felt no one understood me, or liked me, and that I would die before I made a true friend of like mind–and then I opened a book, and there were all the friends one could ever want! Q: You write that there is no greater accusatory poem (in English anyway) than Keats’s “This Living Hand,” which you celebrate as great marginalia as well as a poem with a real central problem–“Who is you?” Most poets sit in the margin and hold out a living hand every time they write a poem. (Think of all the poems never published.) Why the compulsion to keep writing what will never make most of us rich or famous, what most people would rather die than have to read? Compulsive behavior can be a sign of madness. A: The compulsion to keep writing comes from within us. It is a very powerful and mysterious driving force, one which overrides every other consideration. If you can imagine life without it, then you will probably live life without it, but for those who can’t, it is a presence–this inner stress–that can’t be ignored. Sure, it is a little mad, but what’s not? It is a privilege to be in the presence of such a madness. Georgia Jones-Davis grew up in Northern New Mexico and Southern California. She worked as a literary journalist for over twenty years and was one of the founding editors of the Herald Examiner Book Review and an Assistant Book Editor at The Los Angeles Times. 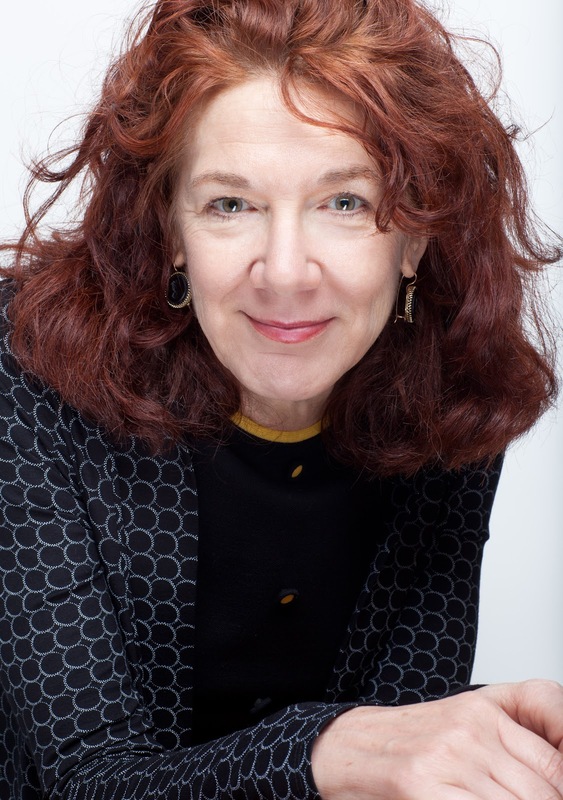 Her critical essays have appeared in The Washington Post, New York Newsday, The Chicago Tribune, and The Philadelphia Inquirer. In 2010, she was honored as a Newer Poet by the Los Angeles Poetry Festival/Beyond Baroque and the Los Angeles County ALOUD Series. She is the author of Blue Poodle, a collection of poems from Finishing Line Press.